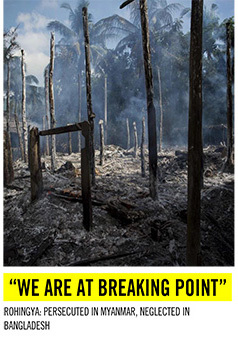 Home › Media › International › Why different stance for Rohingyas? 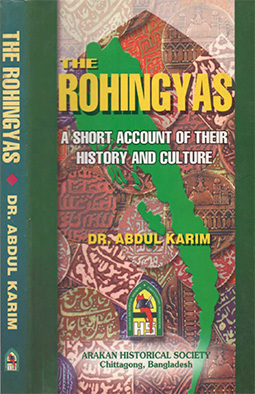 Why different stance for Rohingyas? Nobel Laureate Amartya Sen has criticised the Indian government over its stance on granting Rohingya Muslims citizenship, saying the country had a different stance on non-Muslims fleeing religious persecution in its neighbouring countries. According to a CNN-News18 report published yesterday, Prof Sen said, “If you are talking about citizenship, it’s amazing that you could find room for non-Muslims in the neighbouring countries for citizenship while you don’t have that for the Muslims, even though Indian rulers must know that there is the huge amount of intolerance and ill-treatment going on with the Rohingya Muslims in Burma [Myanmar]. “They are Muslims and they are our neighbours and they certainly deserve the same kind of sympathy as non-Muslims minorities who get into difficulties in the neighboring countries. So I think there is a systematic bias in governmental thinking,” he said. He made the remarks after around 1,300 Rohingyas left India for Bangladesh fearing deportation to Myanmar. Indian authorities deported seven Rohingyas to Myanmar in October. 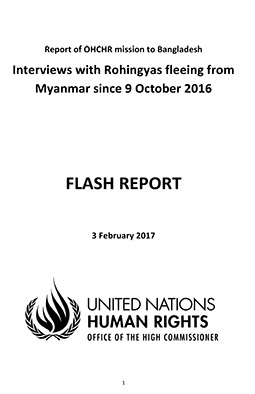 Since August 2017, around 750,000 Rohingyas entered Bangladesh fleeing a military crackdown in Myanmar. Another estimated 40,000 Rohingyas currently live in camps across India. Of them, only 16,500 have UNHCR identity cards that can “prevent harassment, arbitrary arrests, detention and deportation”, according to the agency. The Indian government regards the Rohingyas as “illegal aliens” and a security risk, and has ordered that tens of thousands of them who live in scattered settlements and slums be identified and be sent back, the Indian English-language news television channel said. The Indian government does not recognise the cards and rejects a UN position that deporting the Rohingya violates the principle of refoulement — sending refugees back to a place where they face danger, reported Channel News Asia. On January 8 this year, Indian Lok Sabha passed the Contentious Citizenship Bill, 2019 that seeks to provide citizenship to the non-Muslims from Bangladesh, Pakistan and Afghanistan who fled their countries. “I think the citizenship should have nothing to do with your religion. That’s the main thing. And that’s a constitutional principle. It’s a principle on which the constitution is based. There were a lot of discussions on that in the constituent assembly when India was becoming independent. “And therefore, to begin something which privileges non-Muslims over Muslims is, I think, a real violation of the constitutional principle of neutrality over religious differences,” said Prof Sen. The Nobel Laureate and renowned economist feared intolerance would find its way in the policies of the government. “I am worried about the cultivation of an atmosphere of intolerance that has been a part of polices that’s been pursued over the last few years,” said Sen.